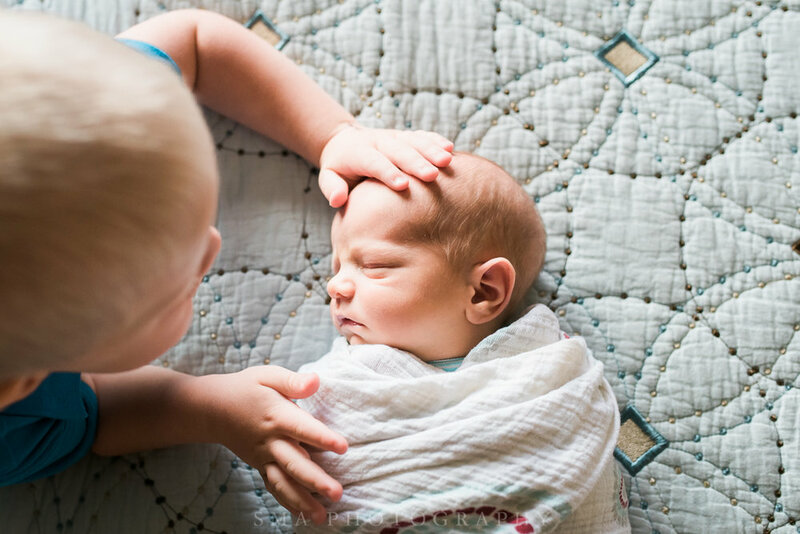 Sometimes we hold off on a newborn photo session because we tell ourselves, "We didn't get professional photos of our first baby...and we don't want our oldest to feel left out." I know I felt that way with our second, but like Kaytee, thankfully, I was over that guilt trip by my third. This newborn time is so short and so sweet, and it deserves to be documented in beautiful photographs. And that guilt trip - besides being a complete figment of our imagination - just doesn't stand up next to documentary newborn photography. 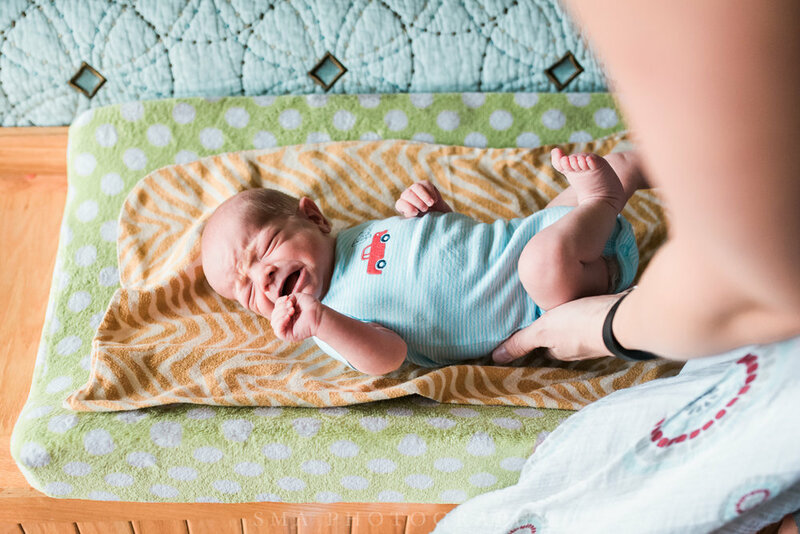 Because we're documenting your real life at home with your new baby, brothers, sisters, parents, and even grandparents are all involved, just as they would be on a typical morning. Everyone is present and included in the magic and the good memories. I'm so thrilled for Kaytee and Jason to have photos of this time at home, when Baby Noah was only a couple weeks old. 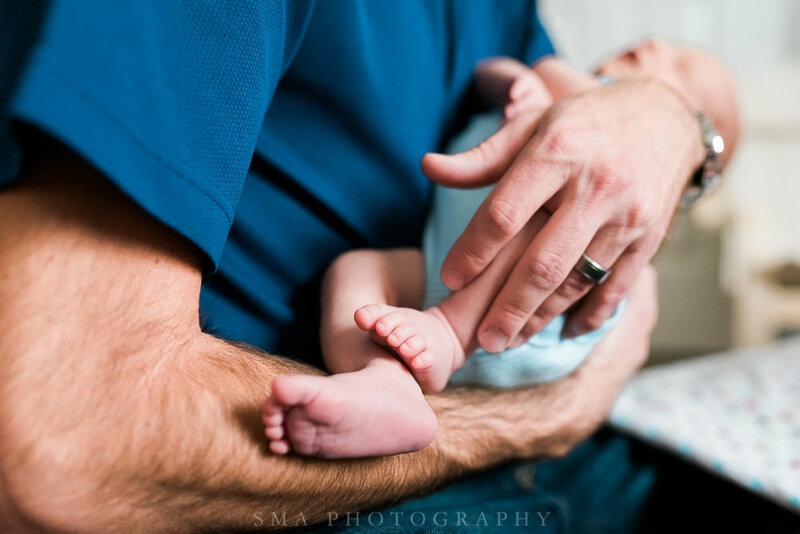 If this experience speaks to your heart, too, reach out to me or request our newborn session guide below. Here are a few of my favorites from their session. Congratulations, Kaytee and Jason! Baby Noah completes your family so perfectly! I am so very happy for you guys!